Quick and easy food is one of my favorite type of recipes to create & make, and if it doesn’t require cooking, it’s even better! 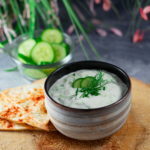 I love the freshness of Tzatziki dip, and it goes so well with fresh veggies or in a sandwich. 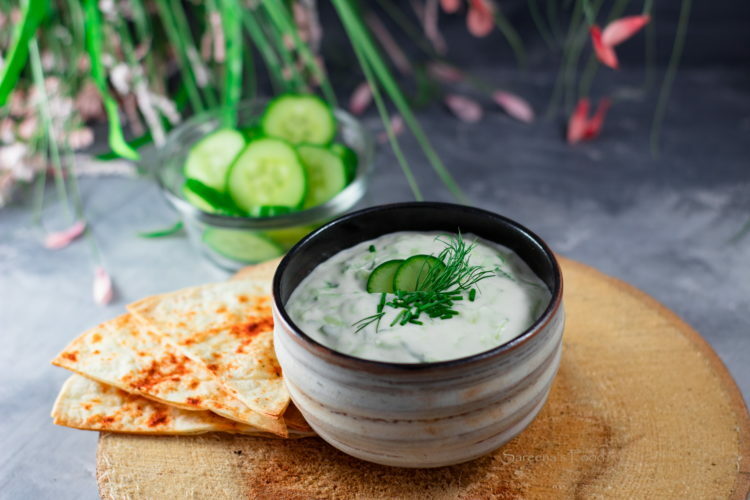 There are very few ingredients needed for this flavorful dip. 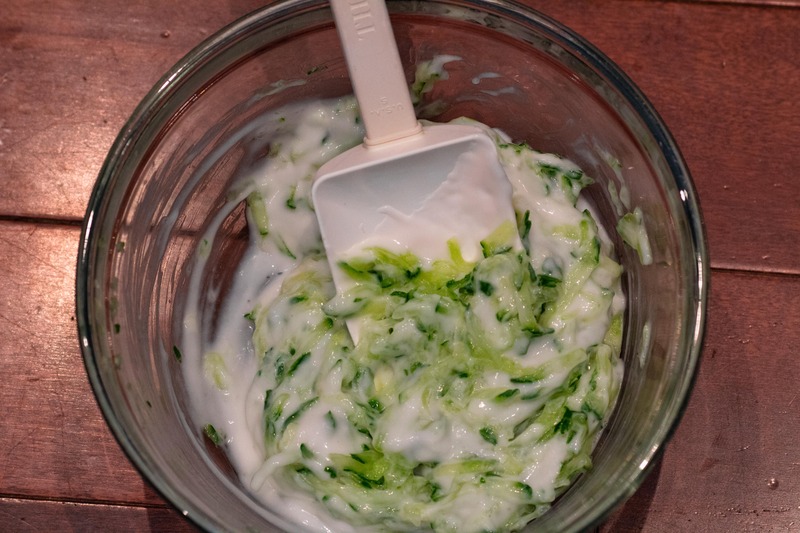 I forgot to put the lemon and dill in the picture, but they are very important to dip! 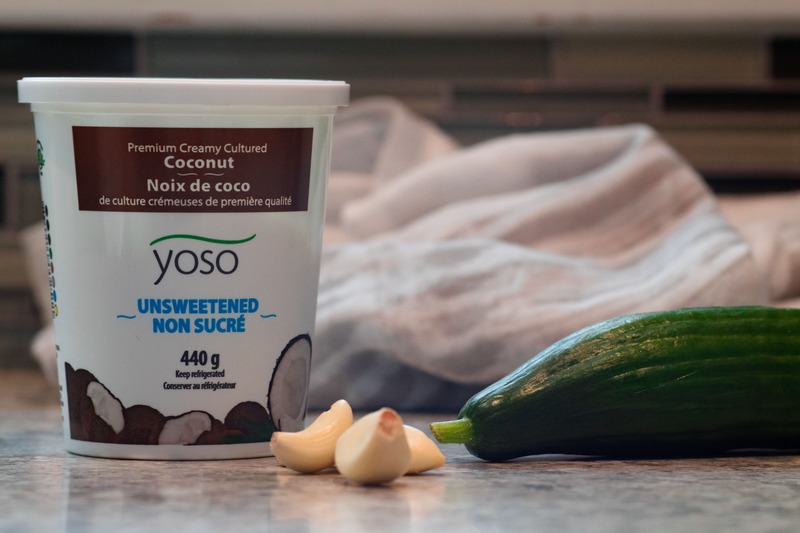 To make it vegan, I simply used unsweetened Yoso coconut yogurt. Check out their website to find the closest location that sells it HERE. Grate the cucumber next, I used a cheese grater, but you can use anything. Next you have to lightly salt the cucumber and then squeeze it until all the excess liquid comes out. If you don’t do this, your dip will be too full of liquid. 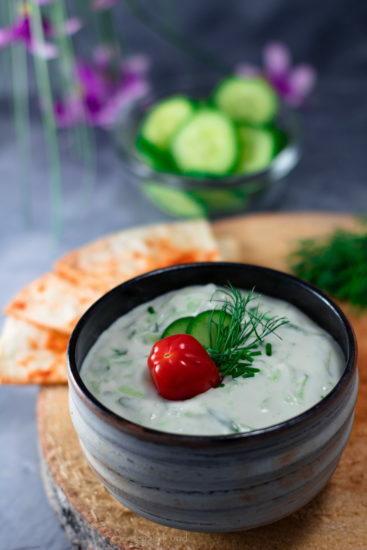 Combine everything together, and serve with vegetables or fresh pitas. It is also amazing in sandwiches or in summery wraps. Grate the cucumber and lightly salt it. 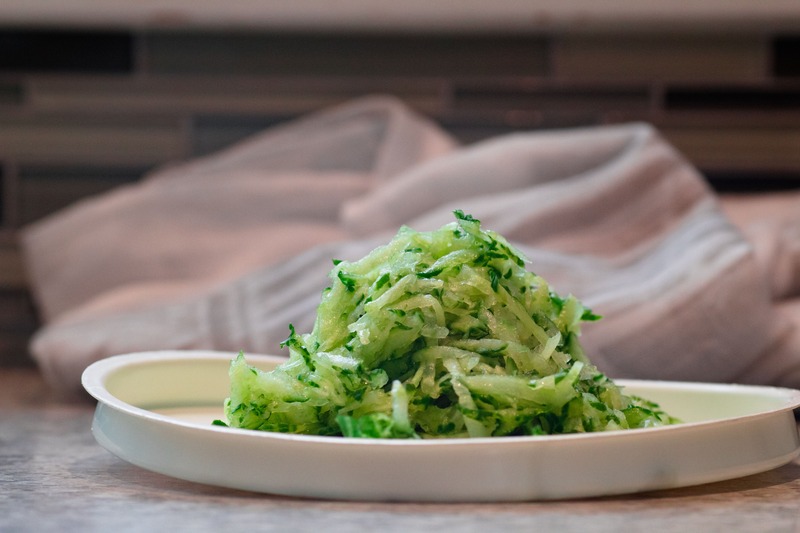 Squeeze the grated cucumber until all the liquid comes out. Combine everything in a bowl and serve with vegetables or a pita.